For one, slide 2 tells you where a bunch of money has been invested, and you may have missed out that they invested in Ripple. In fact SCB is testing its international remittance service with Ripple. Slide 3 has much interesting stats about the macro view in his pick of ASEAN leading countries. Slide 7 maybe is the most interesting to show you the opportunity in South East Asia/ASEAN from a fintech standpoint: 67% of transactions are cash on delivery. Slide 11 shows you the entire Thai fintech ecosystem, slide 14/15 show you where regulation is headed (is this more wishful thinking that reality in terms of timeframe, though?). Slide 17 shows tourism as an opportunity… Thailand sure is a popular destination for people to rock up to; 27% of visitors come from China, followed by 11% from Malaysia, 5% from Korea and 4% from Japan (his order needs switching). 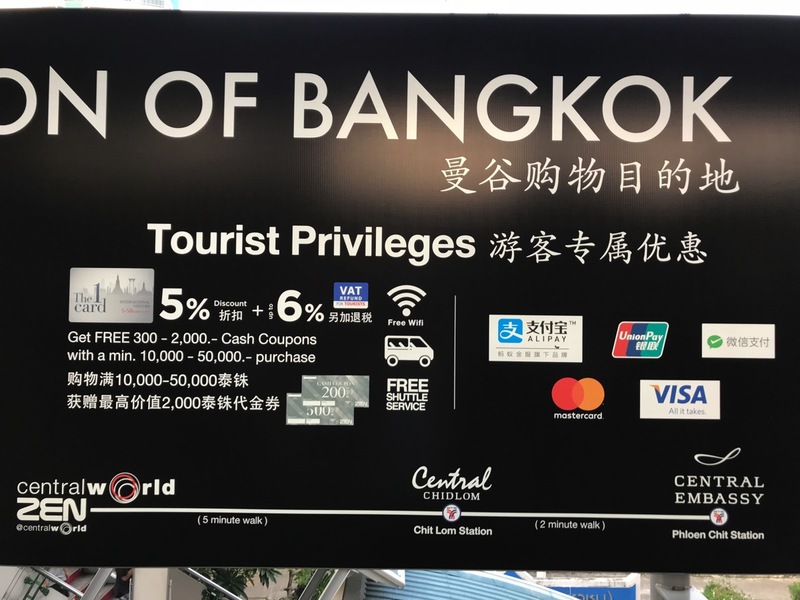 I think this is why its quite common to see UnionPay being accepted everywhere in Thailand nowadays – addressing the Chinese market. But that’s not quite a fintech opportunity, is it? Even Alipay is being accepted these days! Slide 18 on the enterprise blockchain; I can only imagine many are testing this yes. Loved seeing how the m-commerce journey is in Thailand (yes, agree, it is convoluted). I think this is how a lot of it is done in South East Asia/ASEAN, despite there being larger online shopping stores in say, Singapore/Malaysia. Anyway, great deck, good to know the players. Will be a good reference for sure.